Speech-EZ Review and Giveaway | What Would Gia Say? This time last year, Gia was beginning her first year of priority preschool. We started that school year with a daughter who had a severe and unexplained speech delay. Just 3 months later, we had a daughter with Apraxia. It’s because of Gia’s priority preschool speech therapist, Shannon, that we are finally getting her the help she needs. Shannon couldn’t help Gia with her Apraxia, but she spotted the speech disorder, and I will forever be grateful for that. Shannon referred us to a local facility called the Foundations Developmental House (FDH), who had one of the few Apraxia-specific programs in the state. She assured us that we were in good hands. We left the meeting in shock, but hopeful. That same night, and for many nights to follow, I did what worried moms do best – I researched. What is Apraxia? How do we treat it? Is there hope for my daughter? Much to my relief, all of my answers lied at the Foundations Developmental House, and a nationally recognized Speech and Language Pathologist, named Lynn Carahly. Lynn is not only the owner and director of FDH, but she is the developer of the Speech-EZ® Apraxia Program. Gia was making little to no progress in traditional speech therapy. So what makes Lynn’s program different? The Speech-EZ® Apraxia Program simultaneously tackles both the neurological and motor issues that define Apraxia. Specific techniques are implemented in order to build the neurological pathways needed for proper motor planning, which is key to intelligible communication. It’s a step-by-step process of using multisensory strategies to teach the child the correct movement sequences for speech. Shannon was right, we were in good hands, and in November of 2014, we were officially a part of the The Speech-EZ® Apraxia Program. One day at a time, the well-trained and highly-skilled therapists at FDH are making a difference in Gia’s life. Follow-up at home is an essential part of your child’s success. It really does take a village! However, implementing practices at home is sometimes easier said than done. When I heard about the latest version of the Speech-EZ Apraxia Picture Sound Cards app (APSC), I knew it was exactly what Gia and I needed. I knew she would take my attempts at helping her more seriously if my follow-up was more consistent with her therapy sessions. This is my favorite thing about the updated version. If the SLP has the Pro version, and the parent has the Parent version, SLP and parent can communicate between devices. 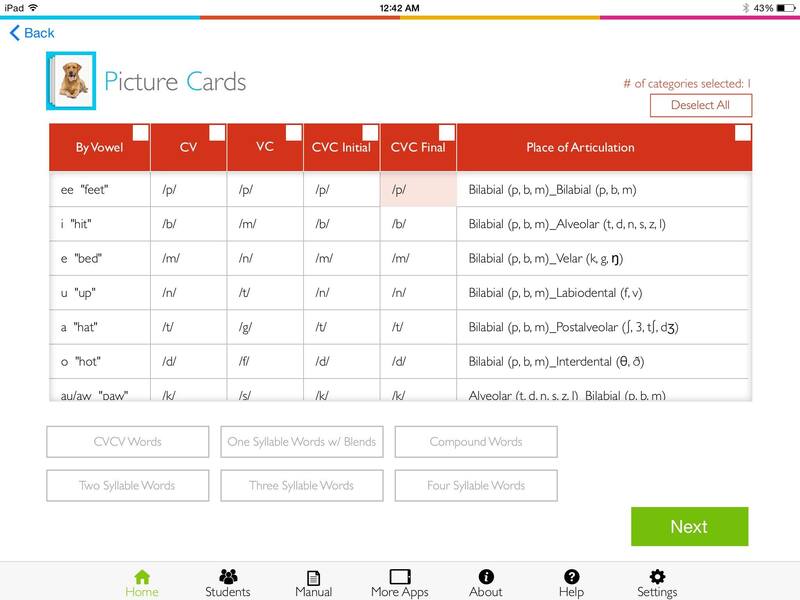 The SLP can create customized stimulus homework sets and “share” directly to the parent’s app. This is something I can’t wait to get started on! Working toward common goals with your child’s SLP is crucial. This gives you and your therapist the ability to communicate those goals in ways you would have never dreamed were possible. I loved having the ability to record and playback my sessions with Gia. It’s a great reference tool, and the playback sounds perfectly clear. With so many goals in mind, there’s so many reasons to listen back on your session. I found it was most helpful to really listen for the sounds that Gia was struggling with. I could then use that information when preparing for our next session, and plan accordingly. Depending on your child’s individualized goals, you can select the appropriate sound combinations that you’re working toward mastering with your SLP. This goes back to the importance of communication with your SLP, and the benefit of the new therapist/parent sharing technology. Every possible combination of sounds is featured in the app, so every child at every level is covered. You can completely customize your sessions to be exactly what your child needs – nothing more, nothing less. My experience with the app has been nothing short of positive! It’s a total original, and unlike any speech app out there. Children with Apraxia get the most benefit from daily therapy, but daily therapy is unrealistic for most families. This app gives us as parents the tools to provide therapy in between sessions, and in our very own home. How cool is that? I needed the structure and Gia needed the consistency, and the Speech-EZ app provides both. The work is done for you, and beyond that, it just takes your commitment. I would definitely recommend familiarizing yourself with the app before starting a session with your child. Like with anything, there’s an initial learning curve, but once you get in there and navigate through it a bit, you’ll find that it’s very user-friendly. My very first “What Would Gia Say?” GIVEAWAY starts today! 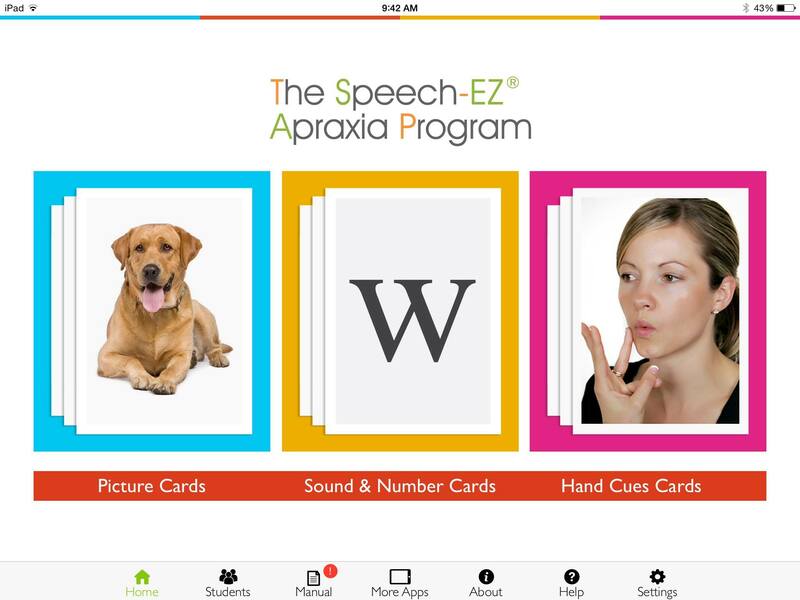 From now until August 6th, you can register to win the latest version of the Speech-EZ Apraxia Picture Sound Cards App! 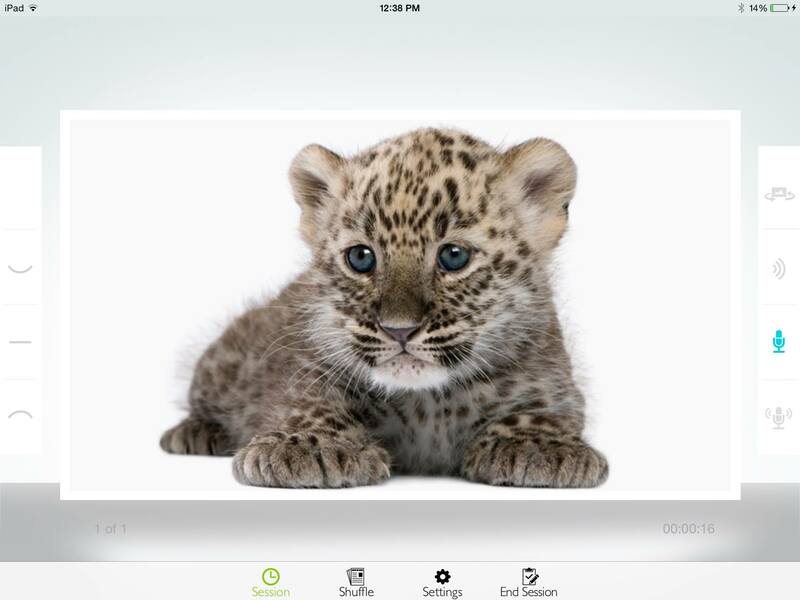 Winner of the GIVEAWAY will receive the Parent app ($179 value) AND a Pro app ($299 value) for your SLP! ♦♦♦ You’ll have to complete at least one of the actions listed below. Earn bonus entries, and increase your chances of winning, by completing more than one of the actions. 1. Sign up to follow my blog at the top of the page. 2. Leave a comment about your child with Apraxia. 3. Click “Like” on my “What Would Gia Say?” Facebook page. 4. Share the Giveaway, and let me know in your comment. ♦♦♦ Registration for the giveaway will close at 5:00pm Eastern Time on Thursday, August 6th. The winner will be randomly selected, and notified via email on August 7th. Good luck! Thanks the parent prospective on the app! Its reassuring to hear how It’s worked already for other parents. Of course! Good luck, Kelly! Hi, I enjoyed reading you blog. My son hasn’t been diagnosed yet with Apraxia but we are leaning toward that diagnosis. He is currently attending a developmental preschool and receiving speech therapy. The information on your page is very helpful. I have shared your giveaway on my FB page. Thank you for reading, Amanda! It’s great to hear that your son is in a developmental preschool. These programs are so beneficial to our kids for so many reasons, even outside of speech. Take any services you can get, especially when they’re young! Keep on doing what you’re doing, and good luck on the Giveaway! Nice review. Glad your child is getting help. Thank you so much reading! I really feel for families like yours that don’t have treatment that’s easily accessible in their area. I live 5 minutes from FDH, and that was just pure luck. You will not regret the 4 day intensive with Lynn. I recently met a family who moved from Oregon to come to FDH, and they said that their daughter made more progress in the intensive week, than she had since the start of speech therapy. Lynn is amazing! I wish you and your son the best! Thank you so much for this information on the Speech EZ program! I have been trying to find out where to get this for my Grandson! We can’t find a speech teach teacher anywhere around us, so we heard about the Speech EZ app to try! Your blog means so much to us! Thank you so much!! I just watched Gia’s video…and I wanted to cry. These children are so special…and I could see so much of my Grandson in Gia’s eyes! I shared the video with my little Grandson’s other Grandmother and his Aunts, who don’t know very much about Apraxia of Speech. I cannot thank you enough for the information that you have put together on this page. If I don’t win the Speech EZ set, I would really love to purchase it for my Grandson. Can you let me know where to purchase it? I looked on my I-Phone App Information and didn’t see it. We live in South Central Florida and I cannot find a speech teacher around her who does the Prompt or has special training in Apraxia. It is very frustrating because I want to give Kye all of the best help that I can get him. If you know of anyone around central or southern Florida that we could check with…that would be great! I did purchase the Kaufmann Card set and my daughter does lessons with him daily. He also gets regular speech instruction twice weekly. Once again, thank you so much! If you knew Kye, you would love him…he just loves everybody! Thank you for taking the time to read my blog and watch our video! 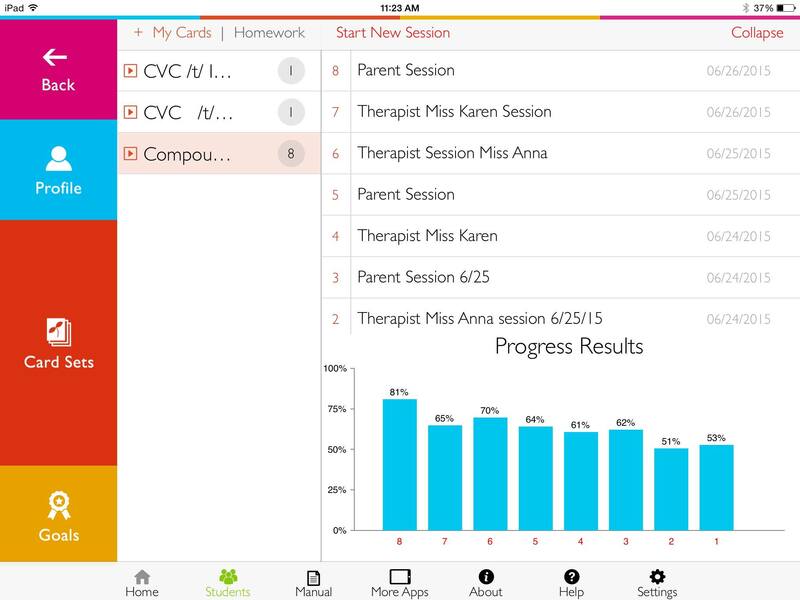 I’m happy to hear that you’re excited about the app, it really is an amazing tool for parents. The app hasn’t actually been officially released to the public yet, so that’s why you aren’t seeing it in the App store. It will be released on Friday, August 7th, and Speech-EZ is actually holding a 48-hour sale the day it’s released. Speech-EZ is also holding a separate Giveaway on their Facebook page. You’ll see this link at the bottom of my post. Make sure you sign up for that one too! If you go to their page, you’ll see the info for both the Giveaway and the Sale. My post on Friday will include the details of the Sale as well. It sounds like you are doing the best that you can, with what you’ve got. I always feel awful for parents that don’t have easy access to the proper treatments for their child. It all depends on the area you live in. It’s unfortunate that it’s still so hard to find. The Kaufman cards will be great! I would highly recommend looking in to Lynn-Carahly’s 1-week Intensive services for Kye. It would be an initial investment, but worth every penny. People fly all across the country for her! Not only would she help make a difference in his speech, but she could give you the tools you need to continue. I’ll attach the link for this below. Good luck in the Giveaway! My 3 year old has apraxia of speech and I have heard about this app, but never really looked into it. Thanks for the info and for having a giveaway! Glad I found your blog! My son with apraxia just turned 7. This is the first we’ve seen of this app. Thank you for the info and the giveaway opportunity. Thank you for visiting my blog, Steve! Good luck on the Giveaway, and make sure to check back on Friday, as I’ll be sharing the details of the 48-hour Sale that Speech-EZ is having in celebration of the newly released app. I wish the best to you and your amazing son! My 4 year old with CAS will be starting preschool next month. I have so many emotions about his ability to verbally express himself while I am not there to translate! We all do our best to guide and teach them. He is still working on finding his voice. I am glad to learn about FDH! This is something I know my son can benefit from. Hello Anna! Thank you for reading, and good luck on the Giveaway! I appreciate you sharing a little bit about your son. I’m not sure if this is a Private Preschool, or Priority Preschool, but either way, I promise you he will do much better than you’re expecting. I know exactly how you’re feeling, I went through those same struggles in my head. These kiddos somehow find a way to get by, and they’re stronger for it. His teachers will have to be patient with him, and he deserves their patience (don’t ever forget that). Not having you there to translate, you may find is the best thing for both of you :). Hang in there! I hope he loves Preschool! Thanks so much for the information and for your app giveaway opportunity! We’ve been working to overcome apraxia for almost three years now. We live in a small town and while there are some very experienced speech therapists here none specialize in apraxia. Much of our progress has been made through my obsessive research and determination to find what we need. Of course not everything can be implemented given expense so we are excited about the possibility of winning this app as I’ve always been interested in it. Thanks again for the opportunity! Hello Sam, thank you for reading! I can hear the determined mom in you, and I love that! It’s hard to find therapists who specialize in Apraxia, and hopefully that will change someday. I’m sure it’s felt like a long three years, but it sounds like you’re doing all the right things. I wish you and your family the best, and good luck on the Giveaway! My daughter just turned 5, and we have been going to FDH for 2 years now. I’m surprised I haven’t run in to you, especially since we are there 4 hours a week between speech and OT. Kelly has told me all about your blog. Trying to get bonus entries so maybe Nathan can win! Thanks for sharing Gia’s story and all the information about the Speech EZ app. Thank you for the amazing blog. My son is about to turn 3 and we are suspected diagnosis of apraxia. I was crushed with the news but have found light in Tori and your blogs. So many people don’t understand why your child can’t talk and assume that they don’t understand anything. It’s heartbreaking to watch your child get upset when they cant communicate. Thank you for sharing Gia’s story. Thank you for reading, Ellie! I’m so happy to hear you’ve found comfort in me and Tori’s blogs. Jake’s Journey helped me tremendously, and still does. Tori is amazing! Other parents can be the best resources. You are getting your son a really good head start on treatment, and I promise you it gets better. It really does! Feel free to contact me anytime with questions. That’s what I’m here for! Good luck on the Giveaway! Your blog is extremely helpful! I’m so happy to hear that! Thank you for reading, Melissa :). I am at a crossroads and will do what ever it takes for my little girl to be able to talk. I am debating whether to move to AZ and do the speech ez program at the center 4 times a week for the weeks a month and an intensive once a month, or move to West Bloomfield MI and enrolled her at the Kaufman center for 2 weekly sessions every week. What do you suggest? Hello Jose! So sorry I’m just seeing your comment. Oh gosh, this is hard to answer without my personal bias coming into play. I don’t know much about the Kaufman Center, but I do know that the Kaufman method is effective, just as Speech-EZ is. So you really can’t go wrong with either. But the Speech-EZ intensives are what will really give your daughter that initial jump in her speech, and give the therapists much more to build off of. However, the Intensives are most effective in younger kids who are earlier in their diagnosis. How old is your daughter, and how much speech does she currently have? Recent Posts: What Would Gia Say?